Years ago, an airport lounge used to be an exclusive privilege available only to passengers of a certain status or with a specific type of ticket. No more! With the click of a few buttons on a few apps, and a credit card, you too can escape the hustle and chaos of the general waiting area in the terminal, and enjoy the comfort and convenience of a quiet and clean lounge. What amenities do they offer that make them worth the price? This is the Oslo Lounge at Gardermoen Airport. For one thing, they’re quiet and comfortable. That can be a major benefit if you’re a business traveler on an extended layover and you want to remain productive. You’ll have access to a table at which to sit, instead of balancing your laptop on your legs and fighting with other passengers for the charging station. Or if you’d rather relax, the chairs are very comfortable and conducive to a quick nap. There are a few TVs — which you’re actually able to hear — and they offer food and drinks; premium lounges have upscale amenities such as showers, hair salons, and even oxygen bars. So how can you get in? Loungebuddy allows you to purchase access without any upfront fees or a membership. Priority Pass, a sort of airport lounge version of TSA’s PreCheck, offers access to 850 lounges for an annual fee of $99 and $29 per visit charge. You may even have access thanks to your credit card. The airport lounge version of “what’s in your wallet?” American Express card holders can access Centurion Lounges, considered some of the best available, for $50. If you’re a platinum cardholder, it’s free. Citi and Chase also offer cards that come with complimentary Priority Pass memberships. Citi’s Prestige and Chase’s Ritz Carlton cards offer free, unlimited access. One last reason to consider utilizing an airline’s dedicated lounge is the customer service available to you if your flight is cancelled. Agents inside the lounge are often their carrier’s most experienced representatives and can help you rebook, away from all the chaos and outrage that exists in the terminal. 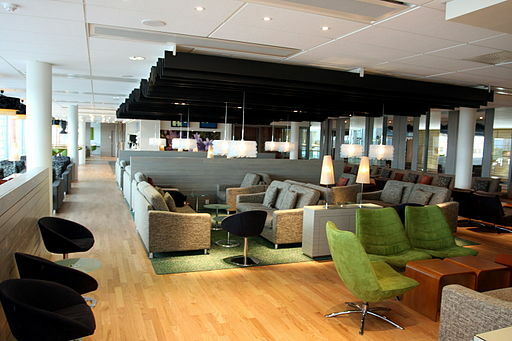 Have you visited an airport lounge? Would you ever pay for a single usage? What’s your favorite part of the lounge experience? Share your thoughts with us in the comments below, on our Facebook page, or in our Twitter stream.